The answer to that, dear reader, is simple. Though I might never be able to condense my time into as succinct of a story as the spots I wrote, I can describe the people I learned from and their stunning passion for radio journalism -- that same passion that has inspired me to pursue a career as a reporter. On what was only my second day at the station, I travelled with Véronique LaCapra to a press conference with Saint Louis’ mayor, Francis Slay, about the implementation of green infrastructure in the city. This move corresponded to a mandate placed on the Metropolitan Sewer District to update their system, which did not meet the requirements of the EPA’s Clean Water Act of 1972. Véronique introduced me to a handful of people at the “presser” while I took photographs and met the mayor. But her questions for the mayor and the executive director of the MSD were incisive and comprehensive and I, wide-eyed at the prospect of radio journalism, realized the power of the medium -- especially with a good reporter behind the mic. In the weeks to come, I worked with reporters like Willis Ryder Arnold, whose calm in the face of Missouri’s worst flooding on record, and a deadline from the national branch of NPR, taught me the importance of level-headedness; Durrie Bouscaren, who shared a breadth of knowledge about the how-to’s and do’s-and-don’t’s of journalism all while producing a story from outside the office; Rachel Lippmann, who knows the political and judicial landscape of Saint Louis like the back of her hand, and who understands how to work her way around it; and Bobby Duffy, whose compassion for and interest in the stories of others reminded me of why radio captivated me in the first place. Beyond the sphere of the reporter, I also worked with the engagement producer, Kimberly Springer, who led me to think about the future of radio in an increasingly digital world, and Linda Lockhart, who introduced me to new forms of media that allow radio and online journalism to reflect the interests, needs, and thoughts of the public. The team at “Saint Louis on the Air” shared their expertise in the production of an effective and engaging talk show. These wonderful people are just a few of the many who made my time at Saint Louis Public Radio outstanding. 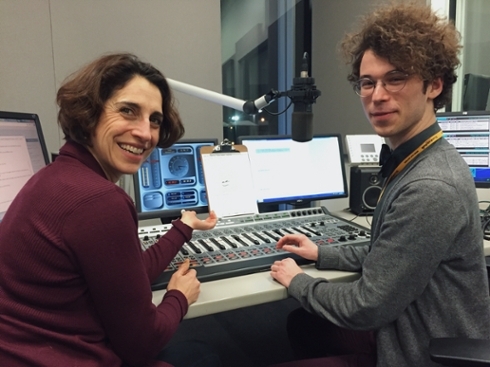 Of course, I could not describe my experience at the station without offering all of my thanks to Shula Neuman, my editor and my mentor during my time there. From day one, Shula made sure that I had access to all the resources I needed in the office. She facilitated my engagement with each member of the team, but also gave me space to pursue my own interests and make my own connections. She spent hours editing my spots and putting them through the requisite computer programs, helping to turn my thoughts into words spoken on the air. She reminisced with me about all the things each of us loved at Reed. And she inspired me, not only by giving me confidence in my own ability to succeed, but also by excelling at what she does. The program “We Live Here”, assembled by Kameel Stanley, Tim Lloyd, and Shula herself, engages with race and race relations in Saint Louis and beyond. Watching Shula work with Kameel and Tim, in addition to her work editing with many of STLPR’s reporters, gave me the biggest sense of what life might be like working in radio -- never quite the same, but always exciting, always challenging.I started my time at STLPR unsure of my next steps in life -- what I wanted to pursue, and where I might go to find it. But my interests line up with those of the folks at NPR so clearly, that it seems unreasonable not to follow those dreams. 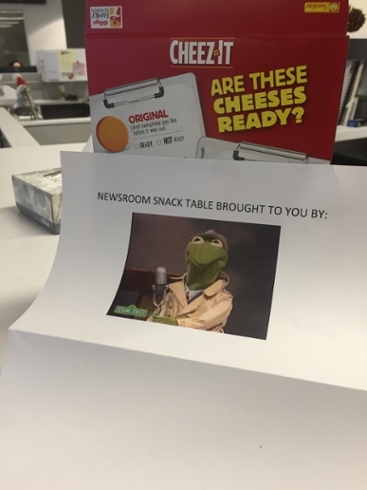 As I said at the start of this post, to detail the entirety of my time at the station would take at least as long as I was there, and I could never capture the gratitude I have for these talented, brilliant, and welcoming people. Though, if anything, I am beginning to suspect that my best shot at communicating that feeling would be through radio, anyway. 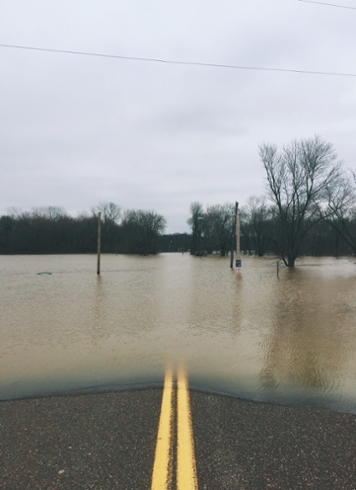 above left: Part of the flooding that took place in Arnold, Missouri, where Caleb and Willis worked together on a story for "All Things Considered"